Belgium Surgery Services works with different hospitals and offers various health and travel packages. Each patient may opt for the package and the hospital of their choice. Of course, they can. In this case, Belgium Surgery Services also always arranges accommodation for the extra person. The people in Belgium speak Dutch, French and English. And, there is always a bilingual Belgium Surgery Services patient care manager representative present to assist you. In any case, English is spoken in the hospitals and hotels. Most plastic surgeries do not require follow-ups after the immediate postoperative period. However, the attending physician is always available for free online advice and even a visual online consultation, after booking an appointment. The full safeguarding of patients both before and after the surgery is of outmost concern to BSS, since they are its ultimate ambassadors in their country of residence. BSS has aftercare clinics in the UK and Ireland. We are at least once a month in each aftercare clinic and sometimes more. (London and Dublin) Visit ‘clinics’ on the website to find all addresses. Can I change my mind before the operation? YES! Remember that you can change your mind at any time, even five minutes before the operation. What happens if something goed wrong? We will make you aware beforehand about the procedure in case of complications or if you are unhappy with the surgery. Immediate postoperative problems can be solved during your stay in the hospital. In case of problems arising while you are at home, you must contact Belgium Surgery Services or your surgeon, and follow their instructions. Your BSS patient care manager or surgeon will tell you from your first visit that it is important to have realistic expectations. If you are not happy with your procedure, we will seek a solution. Our policies in this regard are the same as in the UK. Can my initial consultation be done in UK? Yes, the Belgium Surgery Services team offers initial consultations in their aftercare clinics (see ‘clinics’ on website). You will be able to meet them and talk to them about your expectations and concerns. Will I be able to get a total cost during my first consultation? We will give you an upfront cost and we will make sure to tell you what this includes. Do I get any discounts on multiple operations? We offer discounts on the price of surgery when you decide to have more than one operation in the same day. For instance, if you will have a face lift with eyelid surgery and a chemical peel, there is a 10% off on the second operation, and 15% off for each subsequent operation. Depending on the case, our policy also provides for low prices and extras included afterwards. Zaventem is Brussels’ international airport located nine miles north east of the capital with good rail/road connections into the city. See www.brusselsairport.be for more information or call 0032 2 753 77 53. Brussels-South airport (Charleroi) is located an hour driving distance from Brussels airport. You can also take the train that will get you from the airport to the city center in 45 minutes at an affordable price. If you are considering going to Belgium for surgery, getting to Brussels couldn’t be easier. Eurostar, the high speed train service departs from London Waterloo via Ashford and Lille nine times a day so in just over two hours you can be slap bang in the center of Brussels. A leisure return is well under £100 if bought 21 days in advance. Prices for hospital treatment in Europe are highly competitive and by opting to go for treatment abroad you could save between £2,000 and £4,000. Take a look at these price comparisons for Belgium. The average cost for a gastric bypass is £11,800 in the UK whereas in Belgium it costs just around £4,995. 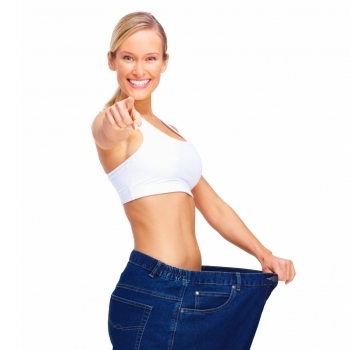 Liposuction can cost around £5,150 in the UK, in Belgium it is around £1,528*. What about the qualification of the surgeons? In Belgium the path to becoming a surgeon involves long and intense study. After high school education it takes twelve years to become a surgeon; seven years at medical school and five years in the elected specialist field, compared to the UK, where surgeons tend to go straight into their specialist field. The seven years at medical school is divided into two parts; the first lasts three years and covers scientific education (biology and physiology classes, as well as organic chemistry and basic physics). The latter lasts four years and incorporates three years of clinical studies and one year of practical training in a hospital. Students keen to go into surgery take electives focusing in depth on anatomy. After these seven years, students receive their doctor’s diploma. Belgium may not be the first country that springs to mind for your European visit, but when you dig a little deeper, you’ll soon see that in fact it is a country not to be missed. With all that is good about Europe concentrated in a compact and easy to travel country, including some of the continent’s finest historic cities, Belgium has a great deal to offer. Think Belgium and you probably think of frothy beer and rich chocolate, and with over 650 different beers and thousands of chocolatiers, you certainly disappointed. What you might not expect is the dramatic contrasts of Belgian life, where medieval architecture plays host to modern surrealist art, and a typically laid-back European café culture continues in the shadow of imposing business-like tower blocks. One of Europe’s best kept secrets, Belgium will surprise and delight you at almost every turn. Why Belgium for my treatment abroad? Offering some of the best medical treatment in the West, an excellent reputation in its hospitals and clinics and with many of its doctors fluent in English, Belgium is a top choice for surgery abroad. The high level of cosmetic, bariatric and orthopedic surgical expertise evolves from many years of training - all doctors are trained for a minimum of seven years and specialists for 12 years and the high quality health care system is renowned world-over. For example Belgium was top of the list for best heart treatment in Europe according to a European Heart Journal analysis of 24 European countries. Flexibility in the hospital infrastructure means that patients are seen almost immediately and more often than not after cosmetic surgery, for example, patients can leave the clinic on the same day. Prices are far more competitive in Belgium. A tummy tuck in the UK is likely to cost over £5,000 whereas in Belgium it would be half the price. Of course. You can either contact your doctor via email, phone or request an online consultation. Because we have aftercare clinics all over the UK and Ireland you can also meet us in person for a consultation or with all questions or quiries. There are health packages available for every procedure. You can find them on our website with each procedure. How should I get there and where should I stay? You have to follow the steps described and you will be fully updated with regard to where you will go and stay. Recovery and postoperative care for patients who have undergone plastic and obesity surgery is short and without any problems. During hospitalization and recovery, you will be under the constant care of the nursing staff, as well as your doctor. Thanks to our adorable prices many thousand patients each year come to Belgium for cosmetic surgery. With the support of the BSS team you will be surrounded with the best surgeons and hospitals who will guide you from start to finish. For many years Belgium is market leader for obesity surgery in Europe. Thanks to our world famous surgeons and our European aftercare network our customers have the lowest rate of complications and the best weight loss results. Belgium Surgery Services is proud to offer vascular treatments in Belgium in close partnership with Dr Robijn and the AZ Jan Portaels Hospital. Our expertise, innovation and hard work brought our team to the world top of vascular surgery.